Are you looking for the best quality human hair extension supplier for your salon, store or yourself ?… but there are so many suppliers with a lot of types in the market right now. They make you so confuse which the wholesale hair extension with the best supplier, the best quality, and the best price. 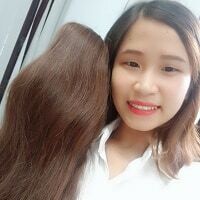 Don’t hesitate to come to us – The best wholesale hair vendors Remy hair extension in Vietnam- Layla Hair. 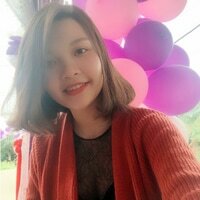 Especially, Layla Hair is one of the biggest wholesale hair vendor, manufacturers, exporters of Vietnamese hair and Cambodian hair. After many experienced years in this field as a hair vendor and factory, Layla Hair wholesale hair vendor fully understands that only high-quality hair with competitive prices can attract and keep respectable customers coming back, which is our strong point. 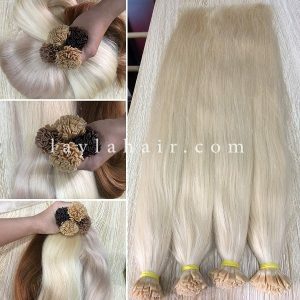 Layla Hair understands clearly thoroughly the buying habits and needs of each country in the world such as Brasil market needs raw human hair in bulk, Rusia market interested in blonde color human hair. US, UK, Sweden, …Europe market like weft hair in beautiful textures straight, wavy, curly. And Colombia, Chile, Argentina (other countries in Latin America) market favor hair thick in the end, weave human hair etc… Hence, Layla Hair wholesale hair vendors always offer excited price, high quality to all customers and even make you satisfied with the first time transaction. 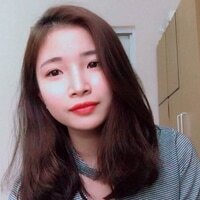 Why Layla Hair is the best wholesale vendors Vietnamese and Cambodian hair extensions? Furthermore, with the advantage of having our own workshop and self-purchasing, Layla Hair wholesale hair vendor is proud to be able to meet any needs of all customers. 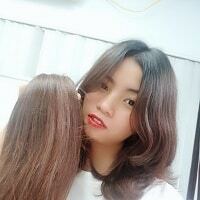 Layla Hair wholesale hair vendor has been being the reliable Vietnamese Hair and Cambodian hair supplier. And hair vendor for many big brands located all over the world, as well as hair salon systems, hair retailers and people who just start doing hair business. Layla Hair company have a large loyal customers system all over the world: Nigeria, Brazil, Mexico, Columbia, Rusia, Ukraine, United Kingdom, Italy, Argentina, France, United State, Germany and so on. We are searching and trading with more and more customers around the world. 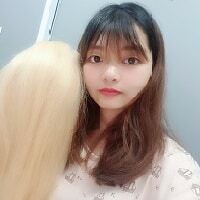 In addition, Layla Hair also constantly learn and improve the quality of Vietnam human hair products in order to meet increasing customers’ requirements. Moreover, in the recent, Layla Hair wholesale hair vendor is able to provide customers with the various type of product. Among several websites, hair vendor and hair distributors promoting virgin human hair bundles online, Layla Hair Company is still standing out as a credit distributor for many partners in the world. Including famous Asian and American wholesale companies. This is actually not nothing new to many people. That popular brand names order hair products from another or any other weaver distributing wholesalers. And then sell it at extremely high prices is not a secret anymore. In order to start selling bundles, you first need to find a good hair vendor that sell wholesale weave. Or whatever hairpiece that you are looking for. They could be wholesale virgin hair vendor selling wholesale human hair bundles, as long as they do weaver distributing. You yourself decide your product range, what to have, how to buy and where to buy from. Double drawn hair: Contains of 70% Full Length Hairs. Thicker Tips make your hair length more valuable. Same length hair: Contains of 95-100% Full Length Hairs. Very thick ends. Thin tape, easy to attach and can last long time. Tape hair extensions from Layla Hair Wholesale Hair Vendor have very thick ends. 1 set of Clip In Extensions is 100gr, in which you can freely customize what to have, how many pieces you want, how long are they and how many clips do you want to add. Pre bonded hair extensions from Layla Hair Wholesale Hair Vendor is made from 100% human hairs, thick ends with high quality keratin imported from Italy. 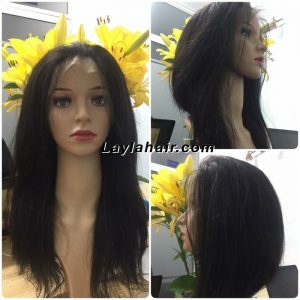 You can freely style full lace wigs from Layla Hair Vendor in any way you want. Part it in any sides, up-do it, or braid it just like what you want. Basically it is thin wefts sewn together, adding lace in frontal part to make it durable and wearable at the same time. Hair topper from Layla Hair Wholesale Hair Vendor is a new product that is newly developed of Layla Hair Vendor. Human Hair Topper has high coverage, can cover all type of baldness including M shape, O shape and U shape. Very comfortable and affordable. A new kind of wig but better than wigs. Quick Response: From consulting, delivery to feedback or solving customers’ problems are committed to the time and on time. 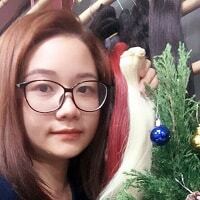 Profession: Layla Hair has a skillful sales team graduated in Business Department. And, with high – professional trained about the products, also Customer understanding skills. Therefore, we provide to customers the great services and customers’satisfaction is our top priority. However, in Layla Hair Vendor aspect, best wholesale hair vendor is always wholesale virgin hair distributors and virgin hair companies. That are also manufacturers themselves. This not only ensures that you will have a good grade, pure good hair. It also gives you a chance to buy hair at great and cheap prices as you are buying these hair pieces in bulk. In the end, you can have yourself cheap virgin hair, cheap human hair weave for the input. And they can sell them at whatever price you want in order to make profits. As long as you know how to build up your brand name hair vendor. And persuade customers to believe in your services and qualities. At this point, virgin hair vendor brings you much more benefits than cheap synthetic hair weft suppliers do. In order to get cheap virgin hair for your business, as having been told. You need to find best wholesale virgin hair vendors and ask to buy hair in bulk. Problem is it is hard to trust the quality of any agency right from the start. So you better ask your hair vendors and hair manufacturers for sampling first and then order a large quantity for the next coming times. 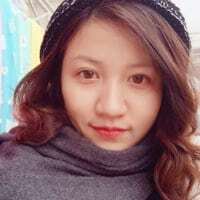 Sometimes there might be problems occur when the qualities of the samples and qualities of the huge orders from large wholesale hair vendors turn out to be not similar. At this point, Layla hair wholesale hair vendor recommends you to separate your big order into several small orders in a month, as long as you can persuade your hair vendors. That you are keen on doing a long-term wholesale hair vendor. They will also give you good prices for your wholesale human hair bundles.